HUMMER Service and Repair - Orinda Motors Inc. 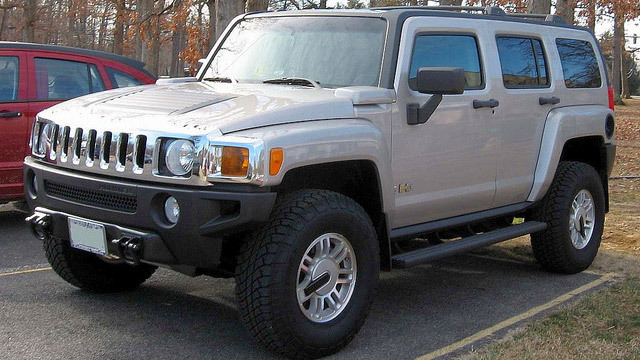 Marketed by GM from 1999 through 2010, Hummer vehicles are no longer made. However, they have a loyal following and serve as versatile, recreational vehicles that combine size, status, and immediate recognition into one iconic package. Whoever said that good things come in small packages never took the HUMMER into consideration. The civilian version of the military Humvee, HUMMER vehicles can be used on or off road in nearly any environment. Each HUMMER is as unique as its owner. A vehicle this individualized needs specialized care and maintenance. Off-roading can cause a lot of wear and tear on a vehicle—even if that’s what a vehicle like the HUMMER is designed for. Excellent service and routine maintenance will keep your HUMMER reliable through all terrain. At our shop, we offer individualized high-quality service to keep your Hummer in optimum condition. Whether you drive an h2, H2, or H3, we are qualified to meet all your automobile’s needs. From major repairs to routine services, our expert technicians stand ready to offer nothing less than the best in customer and car care. “Fast, friendly, fair, and helpful to a fault -- they even washed the car!” -- Ben T.
Unlike other auto repair shops, our team of auto mechanics don’t just focus on the vehicle. From the moment you enter our door until you drive away completely satisfied, we strive to offer an excellent customer service experience. Our certified technicians are always happy to answer any of your questions, and we work hard to get you back on the road (or off-roading) as quickly as possible! Give yourself and your HUMMER the service you deserve. Call our shop or stop in to schedule an appointment today!